This is the one we’ve been waiting for. 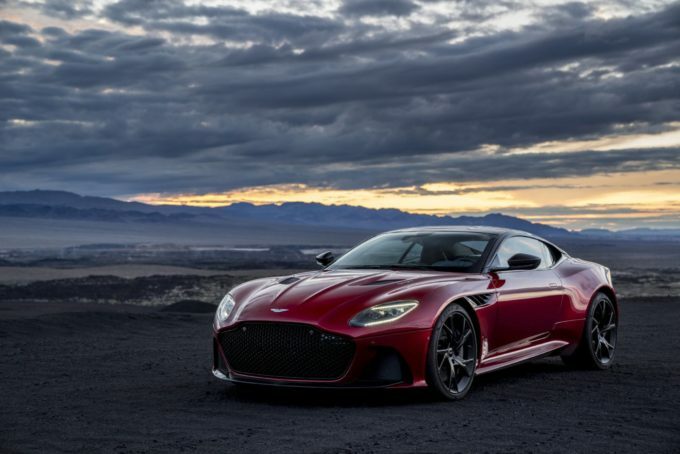 The 2020 Aston Martin DBS Superleggera has been released, and it’s the star of the latest film by cinematographer Nick Night. He is an avid collector of all things Aston Martin, so the factory invited him to oversee this launch. In the 3pm press release, we learned that he asked Chief Creative Officer Marek Reichman what the car’s most important attribute is, and the answer was “Speed”! Torque is such an important feature of the DBS Superleggera, it’s the delivery of the power that throws you back into your seat as you accelerate,’ said Reichman, ‘this power is what defines the DBS Superleggera. This car is about bold, athletic muscularity.” It was accompanied by a simultaneous release that has all the details of the new car. Touring was a coachbuilder in Italy that first coined the Superleggera name in 1967. Literally translated as Super Light, their name was found on the DB4, DB5, and the DB6 Mark 1 made David Brown’s sports cars untouchable. The original DBS was the successor to the DB6, but it had grown larger than the previous cars, and it didn’t wear the Superleggera badge. But it was the first Aston Martin to have a V8, which changed everyone’s perceptions of the brand. This new model is destined to do the same, thanks to a carbon fiber body and a big V12. The 5.2-liter engine is joined by twin turbos to offer 664 lb-ft of torque and 715 horsepower. You will be at 60 mph in 3.4 seconds, and 100 mph in 6.4 seconds. As a display of the brutal torque, the car can leap from 50 to 100 mph in 4.2 seconds while locked in 4th gear. Downshifting is for the weak. Mounted behind the centerline of the front wheels, it places the center of mass near the driver. Almost 400 lbs of downforce are used to keep it glued to the track. Like the DB11 and the Vantage, a rear-mounted ZF 8-speed automatic is coupled to a 2.91 differential. This efficient combination offers near-perfect weight distribution and almost 23 miles per gallon. Maximum torque is available from 1,800 to 5,000 rpm, which will make for brutal acceleration. If you don’t need a rocketship, the DB11 can be had with a 600 horsepower version of this V12 or a 4.0L AMG V8. Click the link below to find our dealer nearest you and stay with us for more updates on the DBS Superleggera.